They have been incorrectly installed or installed using fixings that are not suited to the road surface. 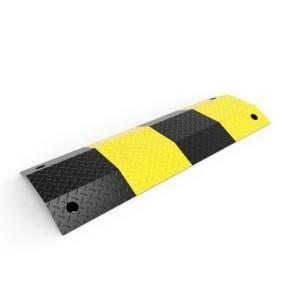 The other major reason metal speed humps come loose and develop rattles is poor design. There is a belief that placing a thick rubber underlay beneath a hump during installation will eliminate rattles. WRONG! 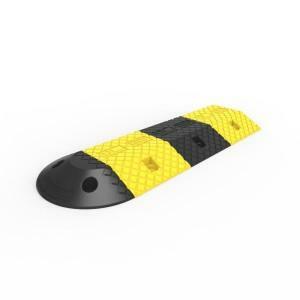 Many years of experience has proven that humps requiring rubber underlay as part of their installation in fact act like a cookie cutter, destroying the rubber underlay which then leaves the hump loose. The Barrier Group branded Slo-Motion steel speed humps have been designed with large flat pads (up to 4 times the footprint of competitors products). 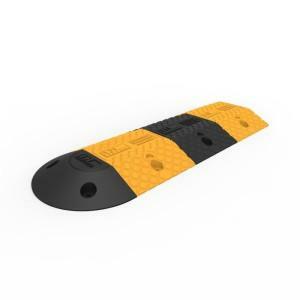 This large footprint eliminates the need for a rubber underlay and reduces the risk of humps working loose, thereby eliminating noise.